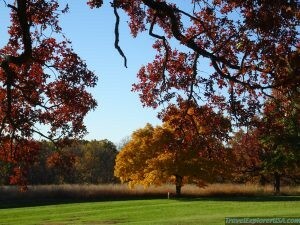 Quiet place close to the busy Kansas City. It is located right off I-435. The hotel has a small cafe where you can buy food. 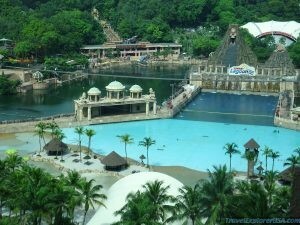 Not too far from Burger King and McDonald’s for quick meal or breakfast. 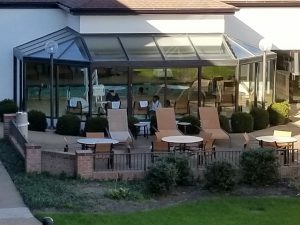 We love the hot tub and pool area. It leads into the quiet courtyard. 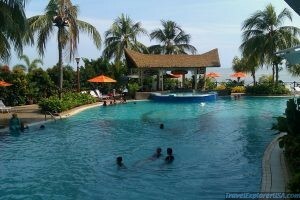 Safe place for kids to swim and for family to take a break. Short drive to Minor Park where the Oregon, California and Santa Fe Trails crossed the Blue River. 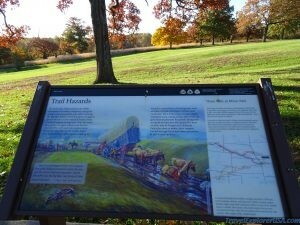 Blue River Parkway Trails can be accessed from here. Lots of trees which turn really pretty in the Fall. 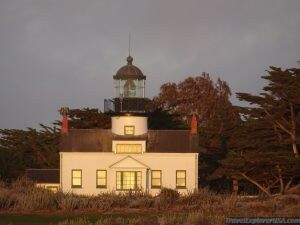 Nice place to stay while exploring the Pacific Coast Highway, Carmel By-The-Sea and Big Sur. 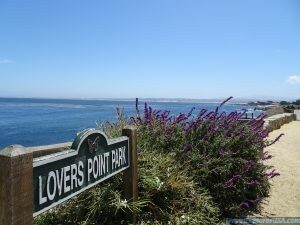 Pacific Grove is a good stop with fun things to see and do. 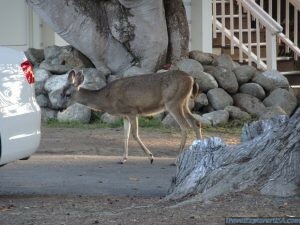 We stayed at the Butterfly Grove Inn where the deer roam in the parking lot right outside our room. 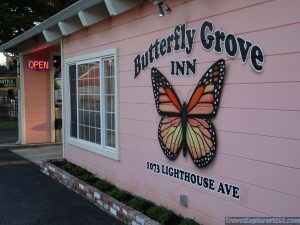 Butterfly Grove Inn Pacific Grove California USA. It is next to the Monarch Butterfly Sanctuary and very close to to Fisherman’s Wharf, Monterey Bay Aquarium, Cannery Row and Pebble Beach. Point Pinos Lighthouse in Pacific Grove is the oldest continuously operating lighthouse on the West Coast of the United States of America. 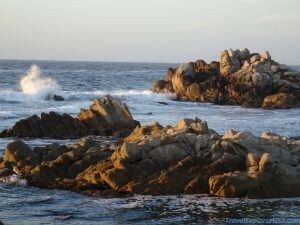 There are various points around Pacific Grove along on Ocean View Boulevard that is simply stunning. 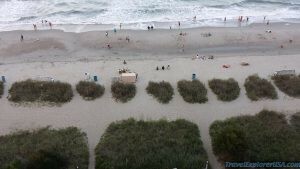 Myrtle Beach South Carolina is a fun family destination. Lots of families with kids just enjoying the water. Food and lodging are reasonable. You can even walk to the McDonald’s from the beach in your swimming suit from the Compass Cove Oceanfront Resort where we stayed. 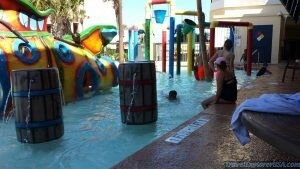 Compass Cove had its own entertainment including a mini water park, arcade and several swimming pools. Our room had a beautiful ocean view. You can view the sunrise from the balcony. A beautiful way to start the day. We walked right to the beach from the hotel. 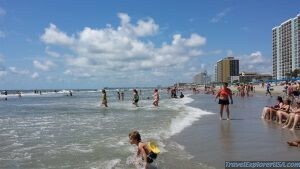 It felt safe and it was fun to get right to the beach from the hotel. It made washing up later so much easier. 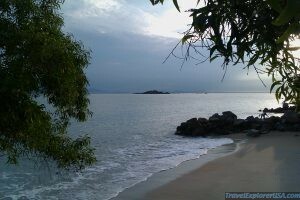 Beautiful Beach right outside the Flamingo Hotel at Tanjung Bungah Beach in Penang Malaysia. 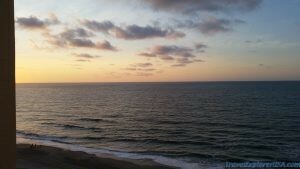 Photo taken in the morning as I was enjoying the walk on the beach. 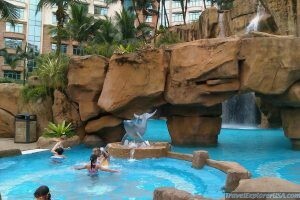 The pool is right by the beach with lovely coconut trees gracing the property.